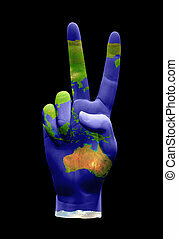 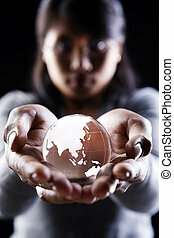 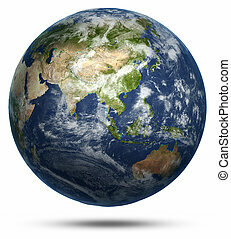 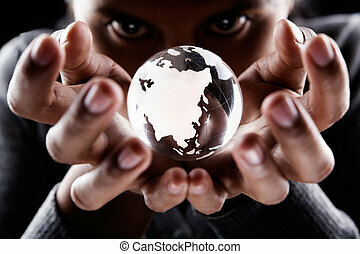 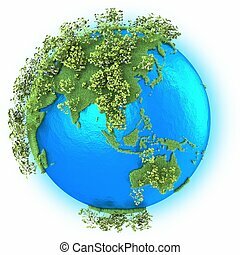 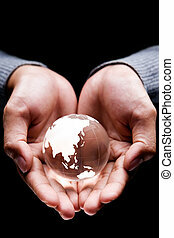 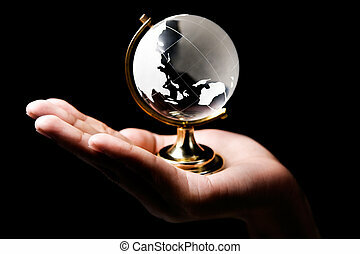 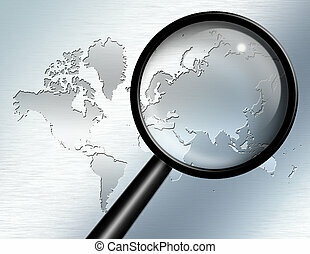 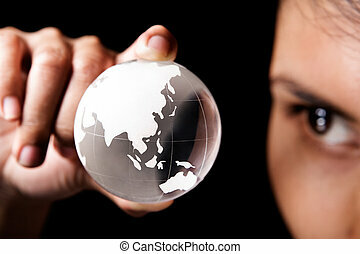 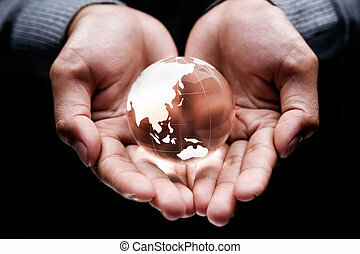 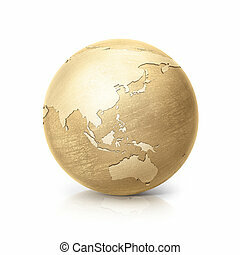 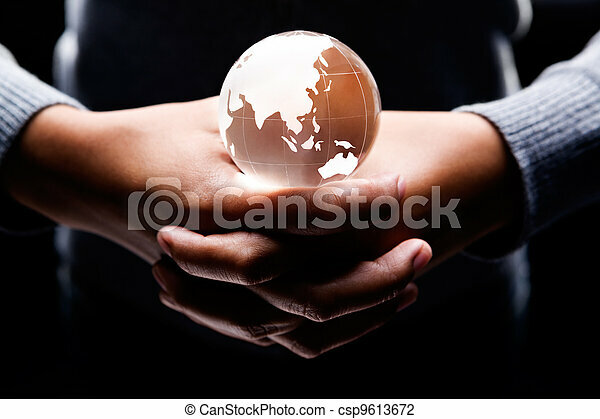 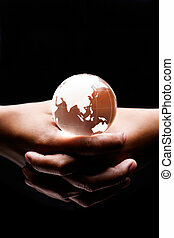 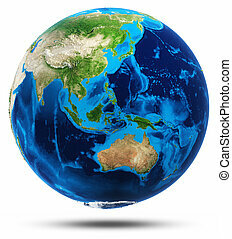 Both hands holding a glass globe on it showing asia and australia continent. 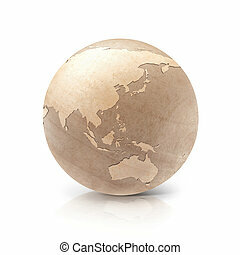 International economy old grunge map of world business connections on a global networking scale with gears and cogs in the shape of countries as america asia europe australia and africa. 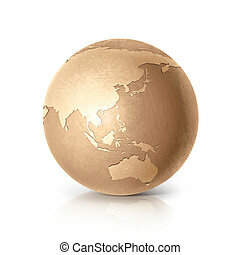 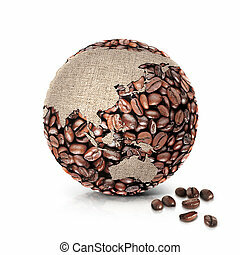 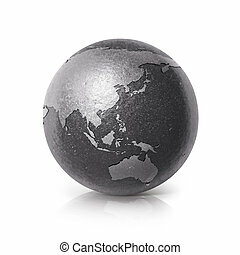 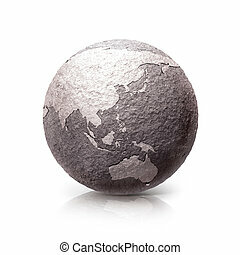 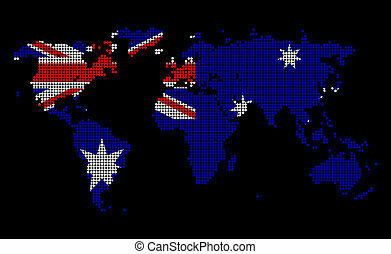 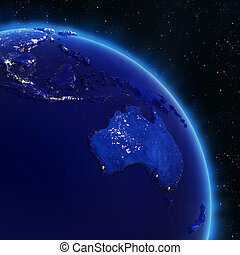 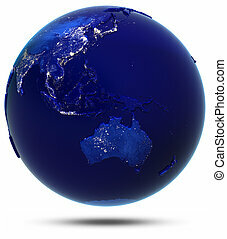 Dotted world map in Australia flag colors isolated on black background.